Small motors can be categorized into motors to obtain power by converting electrical energy to rotational energy, and motors for control where rotational position and velocity are regulated to achieve specific control purposes. The latter is mainly used for automation purposes. A stepper motor is a motor where its rotation (rotation angle/speed) is controlled by advancing or delaying the motor’s built-in primary step angle with externally controlled number of pulses and frequency. In a case for 5-phase stepper motor system, the motor’s built-in primary step angle is 0.72 degrees/step (360° / 500 pulses). In order to rotate a 5-phase motor 90 degrees, 125 steps will need to be programmed. Under no load condition, a step accuracy is ±0.05 degrees and this high accuracy is not step to step cumulative. A system configuration comprised of: PLC (Programmable Logic Controller) + Stepper motor controller + Stepper motor driver + Stepper motor is needed to control the rotation of a stepper motor (see [Fig.1]). Programs in the PLC are converted into pulse signals (see [Fig.2]) in the controller, then converted into motor controlling electrical current in the driver. Rotation angle and speed are calculated by the following equations. Since the stepper motors do not have rotation angle references, mechanical home positions must be provided when used for positioning applications. The names of motors are fitting for their function. Stepper motors are controlled by steps (more accurately Pulses). Servo motors, like its name’s origin “to serve as told”, can be controlled as a servant. In order to “serve”, a rotation detector or encoder is built into the motor. The encoder detects motor shaft’s position and speed. 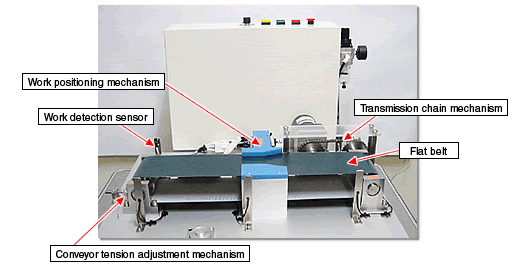 The control scheme compares the motor’s actual behavior against the internal program to perform a feedback control (position/velocity control). The encoder turns the motor into a servant in this system. Since the servo motor has a built-in rotation detector, alarm signals can be output when any abnormal stops or loads are encountered. The control scheme targets to reduce the error between the detected pulses and the commanded pulses to zero so the net control accuracy can be ±1 pulse (2 pulses in total). The accuracy increases as the encoder resolution increases. There are some cautionary points such as the mechanical rigidity of the system. It may become difficult to achieve ±1 pulse control due to lack of system rigidity requiring great efforts on servo parameter tuning. It is important to properly design the mechanical system in order to benefit fully from servo motors. Choosing the correct motor will depend on your application parameters. Be sure to check out our post on Servo vs. Stepper motors: The Great Debate here! Also, every motor needs a good coupling to match, choose the right one here!